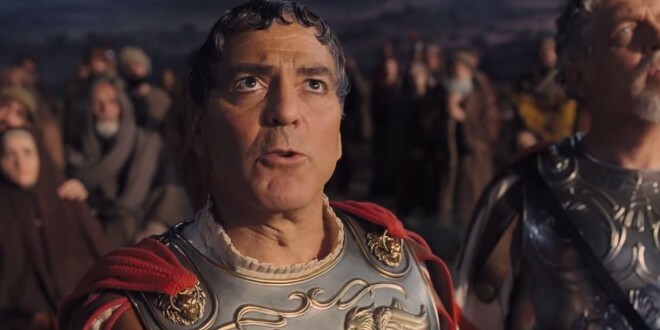 TRAILER: Hail, Caesar! - Joe.My.God. How do you get George Clooney as a bumbling actor, Scarlett Johansson in a mermaid costume, Channing Tatum dancing in a sailor outfit and Tilda Swinton all in one movie? You call the Coen Brothers, that’s how. The first trailer for their new film, Hail Caesar!, hit the Internet on Friday and it’s a treat almost as good as the weekend itself. The movie takes place in good old Old Hollywood, and centers around a major star (George Clooney, obviously) being kidnapped by a group called “The Future.” So very Coen. Even just the short two-and-a-half minutes of the trailer smacks of their distinct visual style and humor. Including everything mentioned above it also has Jonah Hill, Josh Brolin, Frances McDormand and Ralph Fiennes. Suffice to say we are excited.